Removing pimple or acne marks and scars - this is how it works! It's not fair that the dark spots (a.k.a. acne marks) are still visible even after the blemishes have long been gone. 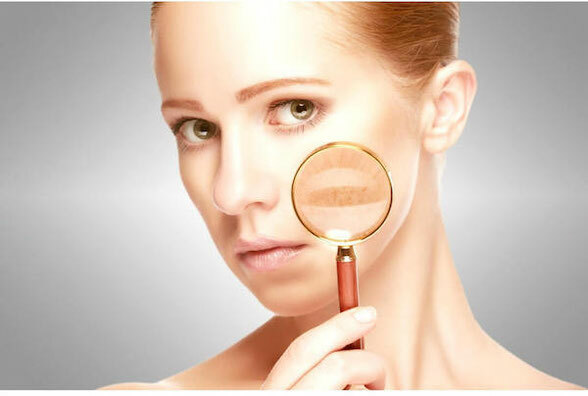 If you want to know what is effective against your spots and which beauty products help to get rid of them - read on. Some girls and women suffer greatly from it, while others only have to deal with them occasionally from time to time. Post acne marks - as visual red or brown remainders of an acne outbreak. The permanent red or dark acne mark or brown discoloration is actually a pigment spot. In scientific terms, they are referred to as "postinflammatory hyperpigmentation“. In general, the skin pigment "melanin" ensures a healthy complexion of the skin. However, if a pimple has become inflamed, the pigment can accumulate in the tissue through overproduction. Brown or red spots on the face emerge. These spots are called pimple or acne marks and can be just as stressful for those affected as the initial pimple. never try to squeeze a pimple! Because by squeezing, it is guaranteed that as a first step red marks will remain on your face. It can be even worse if blemishes are not properly (professionally) cleaned. The inflammation can spread further to the surrounding facial areas. Your primary focus should therefore be on avoiding pimples. This way you don´t have to concentrate on acne marks removal afterwards. Because pimples that you don't get in the first place will never develop into acne/pimple marks. In our "anti-acne-guide" we have summarized the most important facts about the topic "Fighting blemished skin“. A chemical-free exfoliation does not only help to control blemished skin, but also helps to get rid of post acne marks. We recommend to use a natural exfoliants and scrubs while avoiding those that contain microplastics. 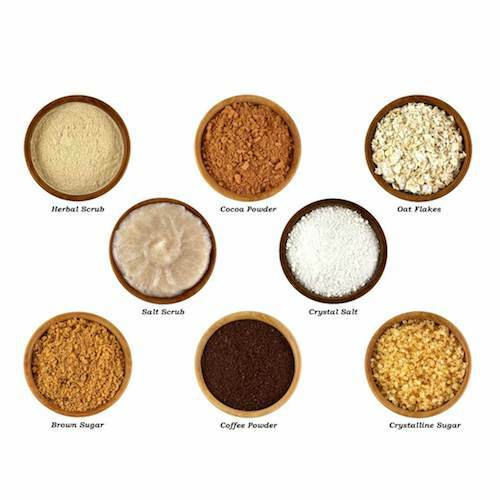 Natural peeling bodies (salt, sugar, walnut shell powder) help to remove the top layer of skin and uneven areas. The results can be seen and felt instantly. The Complexion will appear smoother and clean. With the help of a good concealer you can try to diminish this postinflammatory hyperpigmentation optically after a facial scrub. If you want to cover your marks sucessfull, there are a some tricks to keep in mind. Most important - be carefull and look for "non-comedogenic" foundations, i.e. a make up that does not promote the development of pimples. The result of an exfoliation is not only an even skin appearance, the colour pigments of a concealer stick or foundation last longer an a smoother surfaces. Apple vinegar is a well-known home remedy that helps to stabilise the natural pH of your skin. This all natural astringent improves the appearance of your skin, makes it clearer, red or dark spots disappear or are less visible. 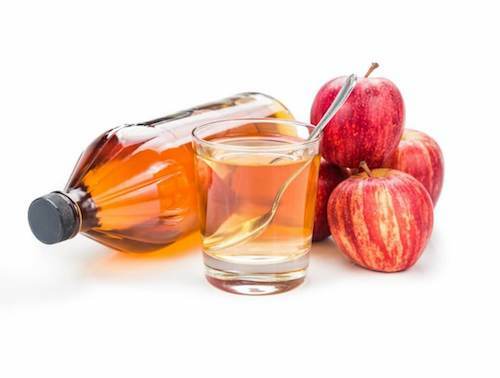 for some skin types pure apple vinegar is too aggressive and can do more harm than good. In this case a thinning ratio of 1 part vinegar and 2 parts water is recommended. or go for a natural skincare toner as a safe alternative. Try Bleaching Cream - to lighten brown acne spots? Dark acne marks that appear on the face are actually nothing more than pigmentation marks. They are caused by post-inflammatory hyperpigmentation - a skin reaction that occurs after the initial inflammation (the blemish) has already healed. Therefore you might think that bleaching with the help of chemical creams might be a good idea. However, you should be very careful and take a close look at the ingredients of the cosmetic bleaching product. Hydroquinone has been used for a long time in bleaching creams. It is now banned in the EU due to potential health threats. This active ingredient then releases - you guess what? Hydroquinone in your body. If you want to lighten or heal your acne marks we would like to encourage you to go the extra mile and try household remedies or natural skincare products. Because placing an extra burden on you body and health by using potentially harmful chemical ingredients, never pays off. Before you consider expensive laser treatments, you can first try something old fashioned as lemon juice. Lemon for the treatment of pigmentation spots is a well-tried household remedy and has already been used by our grandmothers. 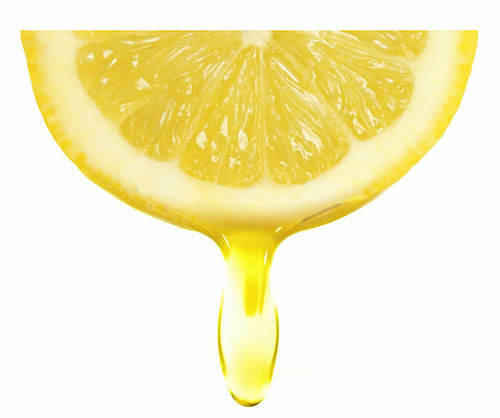 You squeeze a fresh lemon and dab the juice on the skin (on the areas to be treated). Than let it work for 10-20 minutes. Shorten the time accordingly for sensitive skin. (As always - listen to your gut feeling). Then wash your face and reward it with a good (natural cosmetics) moisturizer. How to get rid of acne marks - over night? Don't be disappointed if the desired success doesn't come overnight. Because any healing process takes longer than 8 hours. The time until you can see first results depends on the degree of hyperpigmentation (discoloration). First results should be visible after 3-4 weeks. The combination of different household remedies against brown or red pimples, which are used in rotation, has also proved successful. 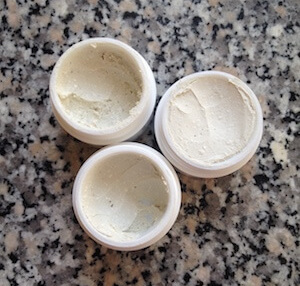 A healing clay mask is a great anti-acne mark treatment and made easily. When applied as a mask, the healing clay warms up the top layers of the skin. This stimulates the blood circulation and helps the skin to regenerate faster which helps to remove any blemished spot. Your complexion appears clearer and your skin appearance appears more balanced. You can buy medicinal clay in powder form in any drugstore. Mix the healing clay with warm water until it thickens, then apply to the face (avoid eyes and mouth). The healing effect of organic clay is also used by natural anti-acne creams and treatments against acne scars. The good news is: Acne spots can be treated. But be carefull and "Pay attention to the ingredients"! A high quality anti acne and spot treatment cream should always combine a variety of functional herbal ingredients. Zinc oxide contained in zinc ointment is traditionally used to promote wound healing - a very good effect if your pimple wound does not heal. And don´t forget: A fast wound healing is also an essential factor for the treatment of unappealing pimple- and acne marks or scars. However, when buying a zinc ointment or spot treatment solution it is worth taking a look at the ingredients of the product. Many zinc ointments still contain mineral oils which hardly have a nourishing effect and which are classified as critical by German research institutes. To prevent your skin from drying out, we have used high-quality natural oils in our Pure Skin zinc ointment, which are effective against inflammation and bacteria. This will help you to improve your skin and get rid of unwanted acne marks. Acne scars always develop when there is a severe form of acne that is treated unprofessionally or not treated at all. In the event that bacteria spread, inflammations can be triggered very quickly. The inflammatory lesions can damage the regular tissue. So-called atrophic acne scars often remain. The skin looks like it's been drawn inwards. A gentle toner with the right ingredients is also a fantastic help to fight unwanted marks. The active natural ingredients e.g. witch hazel is is a proven remedy for pimple marks. Due to its anti-inflammatory characteristics, it supports the control of pimples. In some cases, medical treatment can also be a solution for acne scars. When the scars are extremely pronounced and deep an invasive treatment may be necessary. Different methods can be used for surgical treatments. A good dermatologist will give thorough advice on the risks and benefits of such invasive measures. Of course, there is no reason not to use a concealer to cover up any kind of unwanted marks. Oily skin can also tolerate make-up if the basic skincare routine is performed correctly. 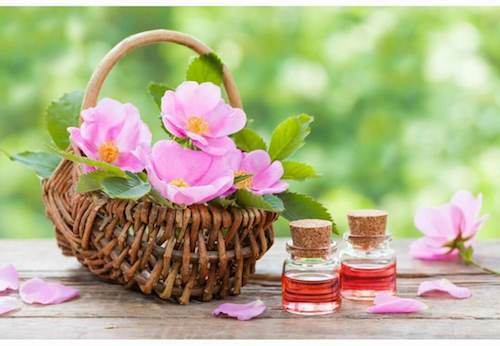 The active ingredients found in Rosehip Oil stimulate the healing process of the skin and contribute to skin renewal and the treatment of acne. Apply the oil in the evening before going to bed and massage in gently. With a good non comedonic facial cream you can prevent the development of new blemishes. Our Sunkissed23h Cream is also infused with rosehip oil, which provides your skin with long-lasting hydration. Healing chalk ensures a matte complexion - No extra powder needed. Honey can work best and reduce the risk of scars if it is applied at an early stage of healing. Its anti-inflammatory and antibacterial characteristics support wound-healing. Apply honey to the scars in the evening and rinse in the morning. We are committed to supporting people with blemished and oily skin by providing effective solutions that will deliver quick and effective results. For an effective Acne marks treatment at home with permanent results. Our Natural Peeling removes old, dead skin cells and stimulates the regeneration of new ones. Perfect for clearing blemishes and help fading out acne marks. By the way, it also brightens the skin - but all without microplastics. Witch Hazel is the active ingredient for the ultimate beauty boost. We use it as an anti-inflammatory secret weapon in our Facial Toner. On top of this, our PURE SKIN Zinc Ointment is the ultimate (but all natural) treatment against acne marks and dark spots (not only on your face). It nourishes your skin with natural active ingredients, prevents inflammation and fights zits.